The Point is Biola University’s campus magazine, produced by students, for students about college life and the world beyond. 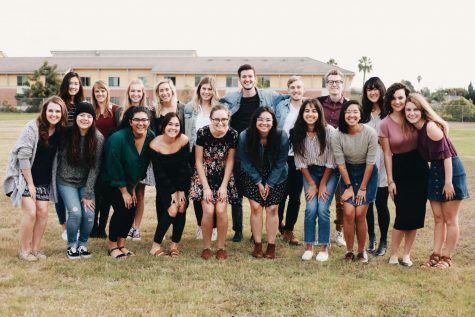 The Point exists to enrich Biola’s campus by diving deeply into people’s stories and exploring issues at the intersection of student life and faith. We are a publication of Biola University’s Media, Journalism and Public Relations department and release one issue per semester. Our staff of students gains hands-on experience in all aspects of magazine production including writing, editing, photography and graphic design. Each issue of The Point builds on a growing campus legacy that has, from the beginning, involved breaking molds and exceeding expectations. The Point has gained a reputation for being unafraid to tackle any topic and for bringing a unique perspective to campus conversations. We aim for a truthful, thought-provoking and artful publication. You will want to pick up a copy of our magazine each semester to see what we’re up to next! In 2008, The Point was pushed into the national spotlight when we received a Pacemaker Award from the Associated Collegiate Press. The same year, we were also recognized for first place in Magazine General Excellence by the Christian College Media Association. Keep your eyes open for us to continue to win awards in years to come.